Tonight I asked my mathematically adept son to work something out for me. I had the equation in my mind, but I needed the numbers. Having visited The Diggers Club at Heronswood, and seen the 20sqm garden, growing enough to feed two people for a year, I asked Max to work out the following: the amount of arable land in the world in square metres divided by the current world population, in order to establish how much land, theoretically, each person had to grow their own food, if the world’s food production resources were to be divided equally. 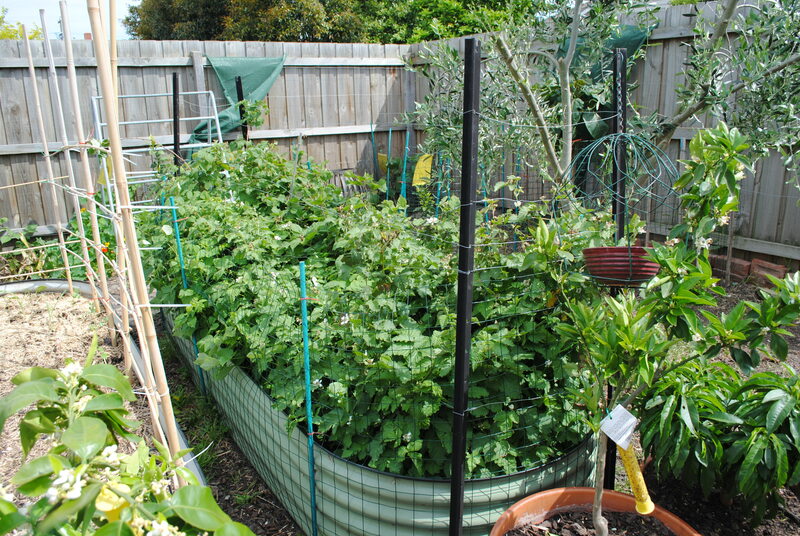 A section of the 20 square metre garden at Heronswood, growing enough seasonal food for two people for a year. It wasn’t an easy ask of an 11-year-old. But scribbled on my notebook, next to my computer, in Max’s impeccable longhand, are the words: ‘If all the arable land was used, everybody would have enough food to feed nine people.” That means, as I read it, if everyone currently living had use of 10 metres square of the arable land in the world, then there would be enough food to feed nine times the current world population (not that we’d want that many more people on the planet – that would be ridiculous). As it is, one in eight go without food, and a huge proportion of those who go hungry are women. Also, according to Oxfam, something like 80% of those who go hungry in the world are involved in food production, enslaved to companies like Monsanto. Spring onions lend themselves well to certain manifestations of OCD. So, hooking up with long-distant connections, Russell and Lisa, and hearing about and then meeting their son Turlough, has been one of those kismet things that happen in life. Last Sunday, still windy but at least sunny, I visited their ‘Small Place‘; a testament to what you can achieve over a short period of time in not much more than 20 square metres. And all this when you are regularly adapting to citified working dogs, marauding children, a rapidly changing and unpredictable climate, and the recent re-classification of Melbourne from cool to temperate growing zone. 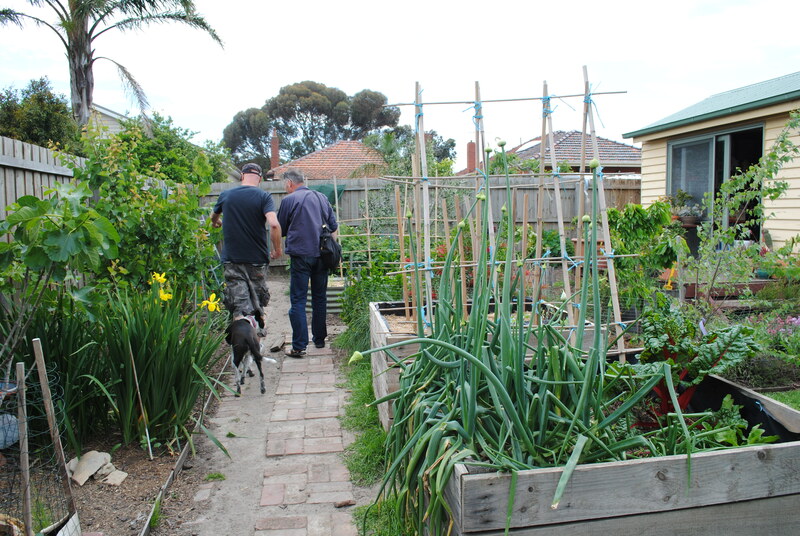 What follows is a meandering tour, with distractions, of Russell, Lisa and Turlough’s garden, in an inner northern suburb of Melbourne. 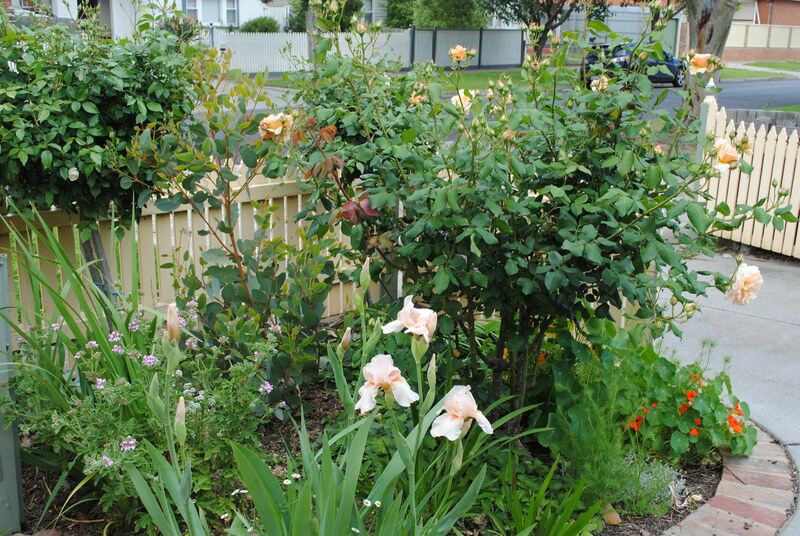 Lisa is largely responsible for the south-facing front yard, which was inherited with heirloom roses and not much else. In keeping with the spirit of the house and street-scape, Lisa has planted complementary flowering plants – a mix of natives and perennials, amongst the roses, that will produce colour and bee-attracting flowers all year round. 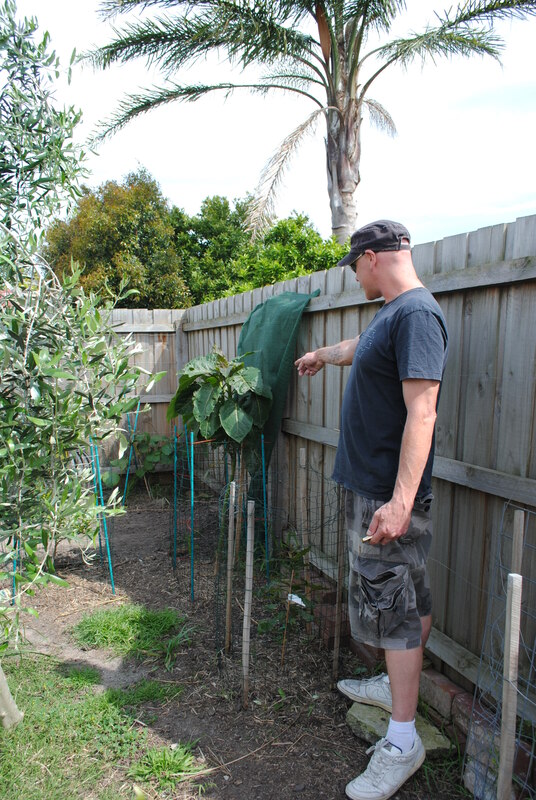 When Lisa and Russell bought the house and land in Coburg, there was nothing in the clay-bound back yard but a few old, non-productive trees. That was about two years ago. With a bit of hard work, vision, and perseverance against some big odds (north-facing back yard and no shade being one of the biggest), their urban farm is well on the way to becoming self-sustaining, and feeding the family to boot. 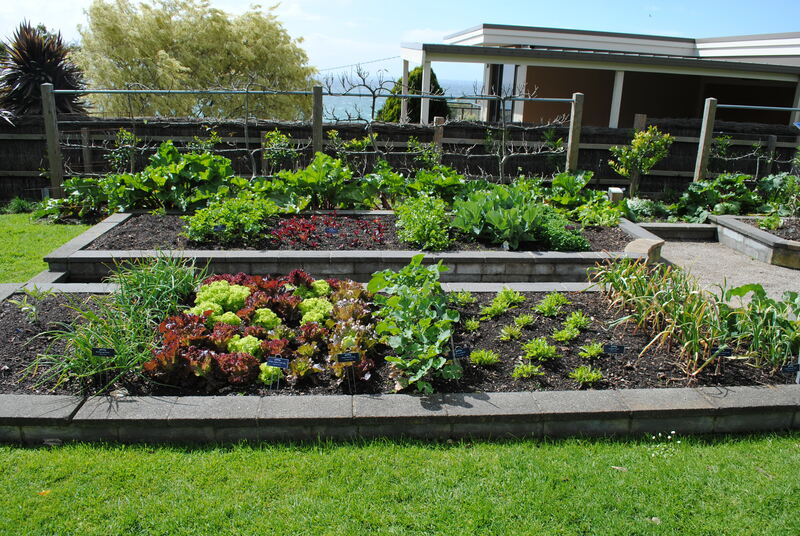 Companion planting is the key to success in any garden, particularly in a small space, which is more likely to attract pests en masse, due to the intensified conditions. 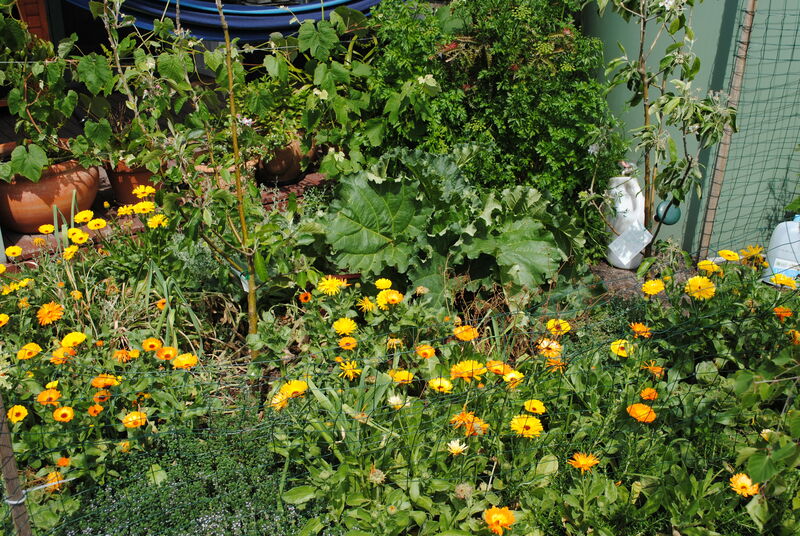 Russell had rhubarb to spare this year, planted as it is in a warm, well-drained spot, surrounded by calendula and herbs, both of which act as natural pesticides. The shed. An essential in any garden, and already ensconced when Lisa and Russell bought the place. 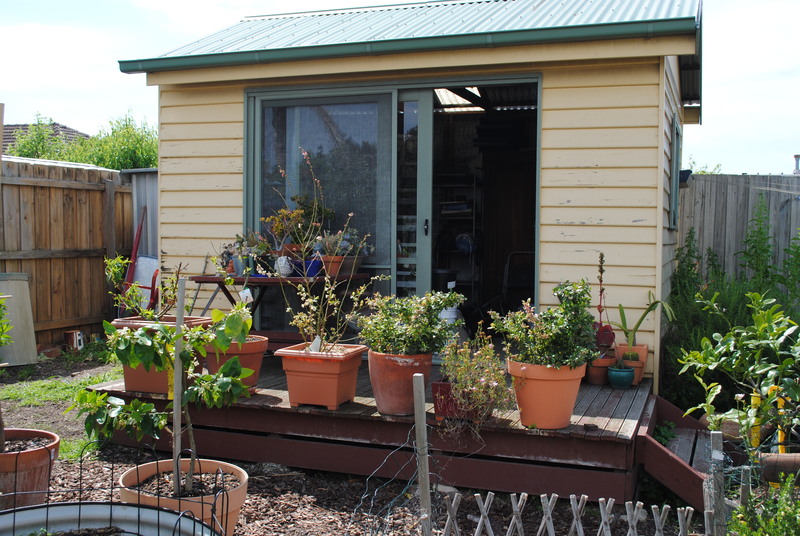 Now, the shed is home to seedy propagation practices and a raft of productive pots. 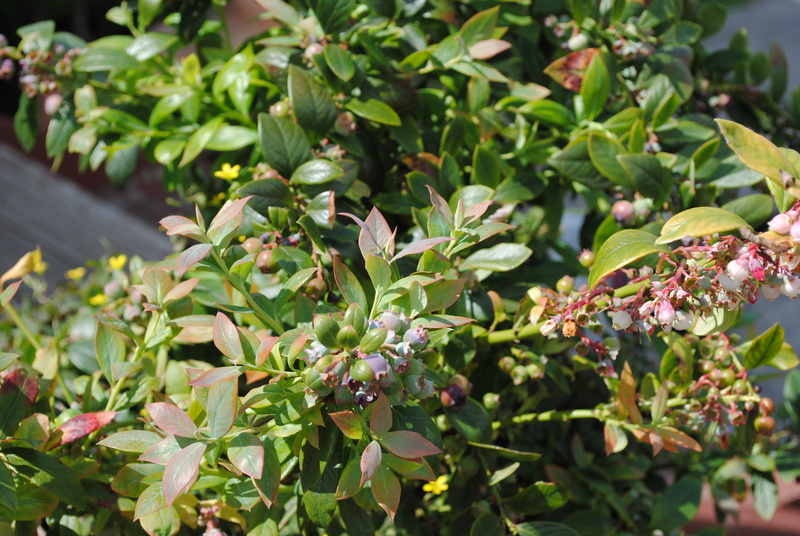 Having not had much luck with blueberries in planters or the ground, the following picture shows just what can be achieved with loving attention to growing fruit in pots, even if it means interrupting your summer holiday. There are always big decisions to be made in any garden, based on trial and error, experimentation, and a fundamental faith in the adaptability of plants. Never be scared to move a tree if it’s not happy. Prune it in its off season and move it to a spot that has the reverse conditions to where you grew it previously, or at least a balance of those opposite conditions. How can you tell a tree or plant is not happy? Well, it starts to die. I had a Tamarillo. Now I have Tamarillo-envy. Mine died, as I couldn’t find a spot where it was happy; at least, not until it was too late. Russell’s Tamarillo, on the other hand, looks very happy, and the position was a result of observation, of a friend’s exceptionally happy Tamarillo. Russell’s white onion patch. Onions are amongst the most beautiful of productive plants, and the most time-consuming. But anyone who has grown their own onions, of any sort, knows it’s well worth the wait. 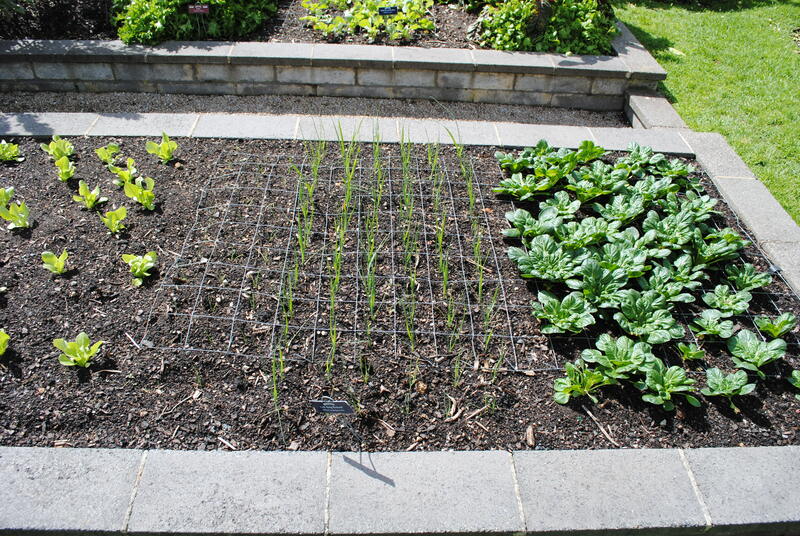 I think the dream of any food gardener is to have enough space to have a year’s crop of onions, garlic and potatoes. 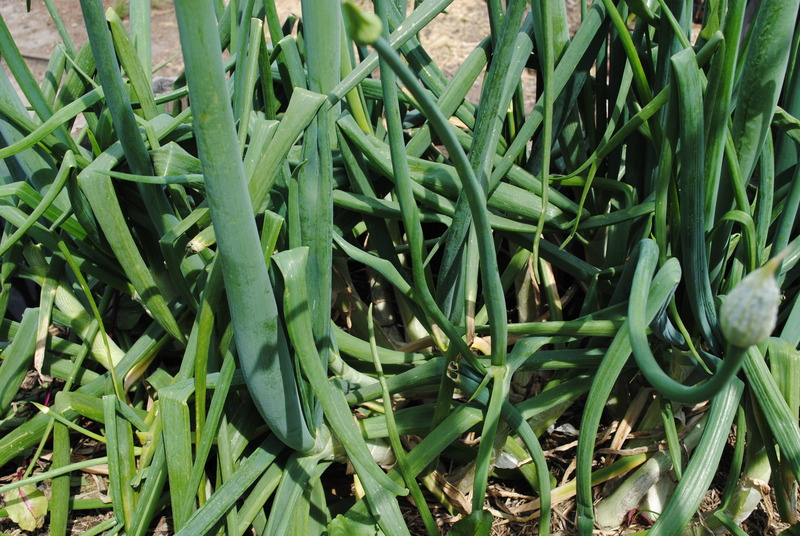 There is a perceived wisdom that you should pick onions and garlic before they flower. But if you did, you wouldn’t have the pleasure of their flower. So, I say bugger perceived wisdom. It hasn’t got us very far, after all. 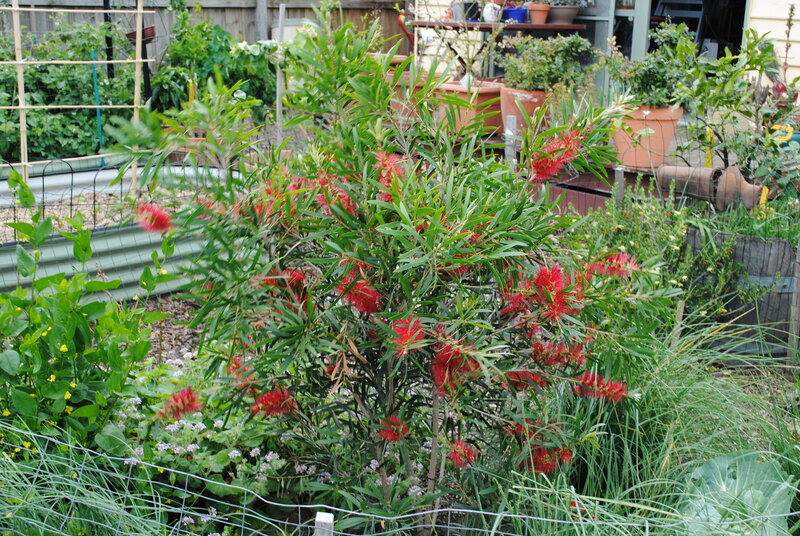 One of the most impressive things about Russell, Lisa and Turlough’s garden is the never-say-never attitude. Berries are notoriously difficult to establish and are reputed to need lots of space. Not so, it seems. An entire planter is given over to raspberries, blackberries and perhaps a jostaberry. The challenge is not birds or possums, but the sixth sense of son Turlough – ‘I see ripe berries’ sort of thing. 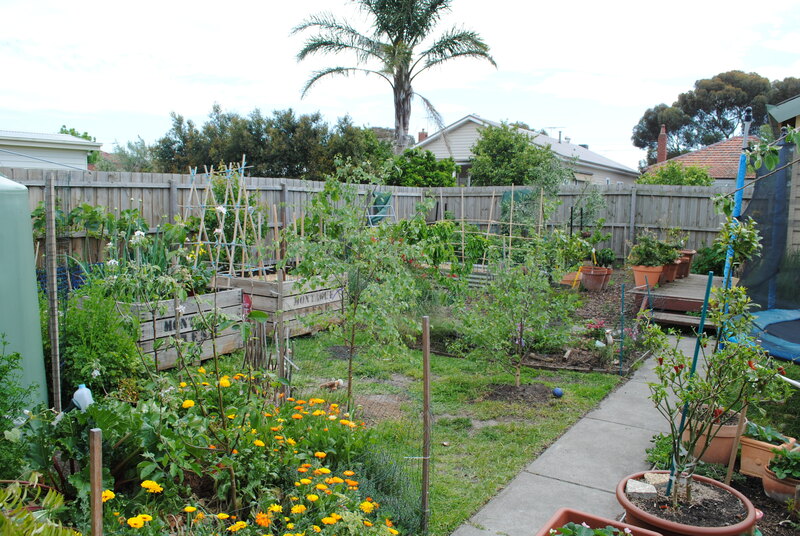 Creating a garden, from which you can gather most of your food, takes a bit of work and a vision that extends, at most, two years down the track. That’s not a long time, in the greater scheme of things. Russell, Lisa and Turlough have planted nearly every fruit tree known to humankind. In a year’s time, their garden will be completely transformed – shade where once the northern sun beat down relentlessly, fruit on trees that are now mere pups. 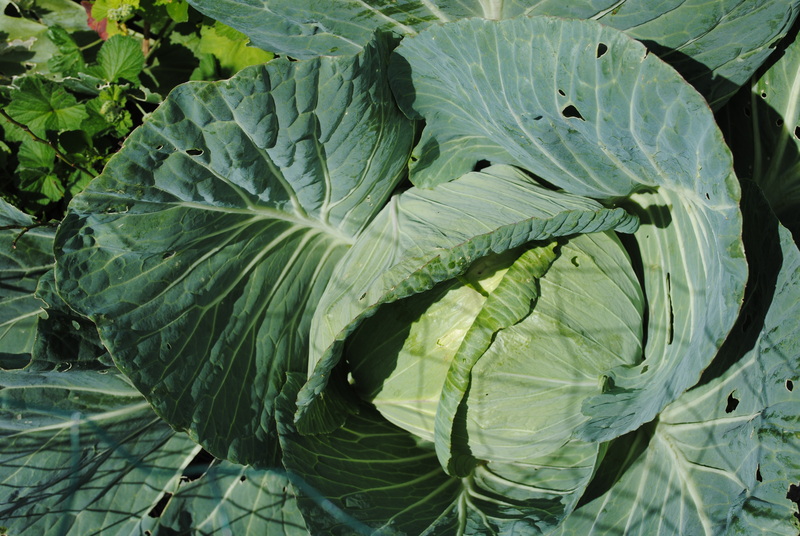 Already the satisfaction of growing excess food, and passing it on or pickling it, is becoming infectious. The disease of self-sufficiency has struck the Ponting/Wheildon household, and I fear that there is no cure. When you sit down with someone for the first time in nearly 25 years and begin to discuss the best conditions for a bumper crop of peas, you get a sense that you might come from the same planet. If you are no longer a master or a slave, you are merely a human being, as Jamaica Kincaid says. And human beings, of the basic variety (non-hybrid or GMO), require only 10sqm per person to feed nine times the world’s population (if you want to dispute the math, talk to Max). So if we all started looking after ourselves, and nine other people in our area, we’d probably do okay. Exiting consumer ‘culture’ (it’s really not a culture) is simply a matter of planting some seeds, eating some weeds, or sharing some basic lore. Thanks to Russell, Lisa and Turlough for sharing the bounty, beauty and promise of their ‘Small Place’ with The Buzz.